As her new album (1989) looks like it will rocket past 1m sales in its opening week in the US, Taylor Swift has pulled her entire catalogue from Spotify. This is not, as has been the case with her previous albums, a windowing exercise (like other partial holdouts such as Adele and Coldplay) with a long-term view to going onto streaming services when every potential sale has been wrung out of CDs and downloads.Her music has gone.Spotify has reacted in a somewhat twee manner by making a post-ironic SAD FACE playlist, called “Come back, Taylor!”, that uses the song titles of artists still on the service to spell out the fact that she will be missed. They back up her popularity on the service in less cloying terms by pointing out that 16m of their 40m users have played Swift’s music in the past month and her tracks appear on 19m playlists.”We hope she’ll change her mind and join us in building a new music economy that works for everyone,” runs the official Spotify statement. It is arguable that windowing was an experiment by Swift and she (and her team) looked at the data and decided to call it a day – but at least gave it a go, meaning their decision was an informed one. Music Ally has looked at plays of Swift’s last album, Red, on Spotify – itself windowed for a while. Collectively all tracks on that album were played over 264m times since they have been live on Spotify. Those are pretty good numbers; but compare that to, for example, tracks from Ed Sheeran’s X album – which have been played well over 500m times – and this might be a factor in Swift and Big Machine’s decision. Maybe they don’t think, in the grand scheme of things, it’s worth it to be on Spotify – or any streaming service. Or, and here’s another argument, unless you are prepared to promote on Spotify, as Sheeran has done and Swift hasn’t, just as you would on iTunes or (in the old days) the high street record stores, then you are not going to – at the top end – see impressive results. Swift is far from the only artist that has had a difficult relationship with Spotify in particular and streaming in general. Paul McCartney and Bob Dylan were on Spotify, then pulled their catalogues but then returned. Others like the Eagles, Led Zeppelin, Pink Floyd and Metallica took their time to license, but some of them did so on exclusive terms (with at least one of them believed to have negotiated an equity stake in Spotify in exchange for letting their music go on there). We wonder if Swift and her team had considered or investigated something like this but still came to the conclusion to go. Or, and this is one for the conspiracy theorists, they asked for this but were turned down. Amid the inevitable “never, ever getting back together” punning headlines, there will be a revisiting of the old Thom Yorke spat from last year (and his nose-pinching “last desperate fart of a dying corpse” quote). Here is the biggest pop star in the world saying that she gave streaming a go and decided that it wasn’t for her. Yorke might have made the most noise here about how he opposed the model but, frankly, his solo albums fly, unlistened and unheeded, over the heads of the mainstream consumer. Yet Swift is at the absolute beating heart of the mainstream – that same mainstream that Spotify must court if it is to reach the sort of scale that means its numbers start to properly add up. Losing Thom Yorke from Spotify was not, if we’re honest, a big blow to the service. Losing Taylor Swift, however, looks like a serious set back just at the time when it looked like it finally had everything moving in the same direction. Congratulations Taylor and Big Machine! 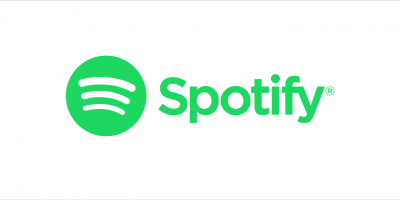 You did the right thing, plus there is no money to made at Spotify, only for its current “executives”, convicted copyright thieves — Sean Parker of Napster and Daniel Ek of UTorrent. Nobody cares about those two convicted cyber-punks, but fans do care about Taylor Swift. No music consumer listens to Spotify because they care about Sean and Danny Boy, they care about their favorite artists and want to help them, not Spotify’s bottom line. Spotify is not the future of the “new music economy”, the artists and songwriters are. Streaming may be the future, but Spotify just ensured they are now part of the past and good riddance, btw. When we look back, Spotify will be just a speed bump that may be out of business in a year or two. Why? Because they treat all copyright creators, like Taylor, with such contempt and disrespect. Actions speak louder than words, a lesson Spotify has yet to comprehend. Spotify executives and employees, like most streaming companies, are the most arrogant and entitled little kids you have ever met. Swedish and English Spotify executives act like they invented American music and have been ordained to give it away for free. Spotify’s policy is to never, ever talk about a better rate for any copyright creator, even if you’re Garth Brooks or Taylor Swift. Now, the other biggest artist in the world, just pulled her entire catalog from Spotify and released her now album anywhere but on streaming or Spotify. My guess is Spotify REFUSED to negotiate with Taylor and Big Machine. By arrogantly playing hardball with the biggest artist in the world right, Spotify has once again shot themselves in the foot. Let’s hope more big artists pull their catalogs from Spotify, sooner than later, and go to http://www.ghosttunes.com or stream from their own artist websites exclusively. Spotify is a foreign criminal organization run by convicted hacker kid thieves and really should be shut down by Congress immediately. 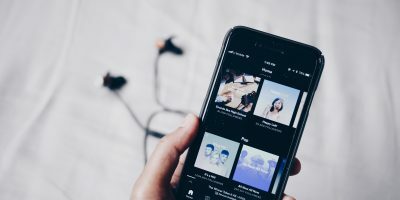 Spotify has been given opportunity after opportunity to do the right thing and actually negotiate with American copyright owners, but they have convinced themselves they are above American copyright law and don’t have to negotiate with artists. Government force and scorched earth are Spotify’s only negotiating tools. But now, the gig is up. Taylor Swift just showed Spotify who’s boss and who really matters, her fans, not Spotify conmen. Spotify thinks they can convince artists to build the Spotify brand by bringing their fan base to Spotify, for Spotify, to make money for Spotify. Spotify has one choice at this point if they want to survive, they can either negotiate, and I mean really negotiate a REAL ROYALTY RATE with all music creators, starting with Nashville music creators, or start hiring personal legal representation. That means suing streaming executives, employees, and board of directors PERSONALLY, not just for knowing facilitating serial copyright infringement, but a host of other US laws that have been broken by Spotify and other streaming employees. Again, way to go Taylor and Big Machine and thanks!